Indedmedia Review 2019: Is Indedmedia a Good Hosting? Indedmedia has affordable hosting packages for a wide range of clientele. They offer friendly technical expertise and a strong customer support system to make you feel at home when using their services. Spanish web hosting company Indedmedia is an affordable and flexible hosting solution for a wide range of customers, from the occasional blogger to the owner of a thriving e-commerce website. They claim to be the best in the business in Spain, and for good reason. Their website is available only in Spanish at the moment. Indedmedia’s servers are based in Spain, and they primarily serve their local market. They boast a range of shared, VPS, reseller, and dedicated server hosting packages. One reason for their popularity in Spain is their website builder, which makes creating websites easy even for those with no technical background. You also get a one-click installer with hundreds of the most popular applications. 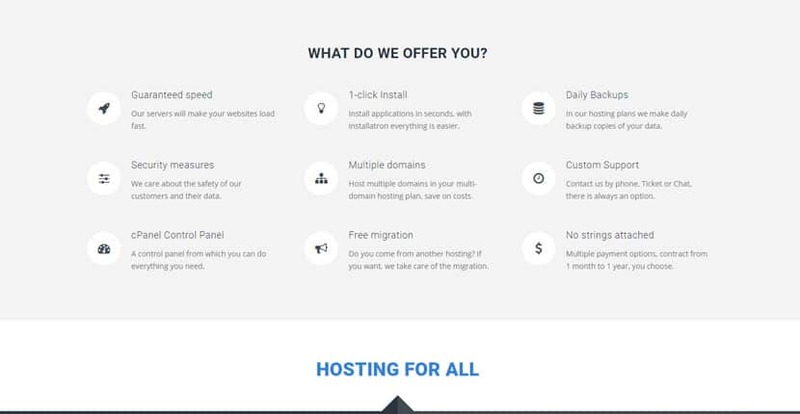 If you already have an existing website with another hosting provider, Indedmedia has a website migration service that will take care of the entire transition free of charge. Indedmedia has a “no overselling” policy, which means that all shared servers are capped at 60% user capacity. This gives each user a bit of a buffer so that even if one website on the server experiences a surge in traffic, the other websites on the same server won’t slow down. On top of that, they utilize CloudLinux as an operating system, which was specifically designed to maintain a fair distribution of resources on shared servers. All shared hosting accounts come with the industry-standard cPanel, so if you’re familiar with web hosts, you should have no problem adjusting the features of your hosting account. The daily backups also ensure that if anything does go wrong, your data can be easily recovered. Indedmedia has four shared hosting packages in total named Starter, Basic, Professional Plus, and Corporate. The Starter package affords you 2GB storage, while Corporate gives you 20GB. Every package comes with unlimited data transfer, email accounts, databases, and subdomains. You also get a free SSL certificate, though this isn’t automatic — you’ll have to contact them to get this. Do note that only the Professional Plus package or better offers a free domain registration with the purchase of an annual contract. Indedmedia’s shared hosting packages are priced slightly higher than average. Then again, many of their competitors may offer similar resources, but don’t include the website builder and daily backups that Indedmedia gives you. Overall, Indedmedia’s plans are excellent value for money. They also offer free consultations, which means you can get in touch with them, share what you had in mind, and they’ll give you advice on the best hosting solution for your needs. They don’t tie you down with any contract, so you can choose to pay either monthly or yearly. If your requirements change over time, you can easily upgrade or downgrade your plan as well. Indedmedia offers support via a ticket system, live chat, and phone. Their live chat is only available during business hours in Spain, unfortunately. Also, they do have a knowledge base, but this is sparsely populated. Bear in mind that their website and all of their documentation is written in Spanish, so there may be a language barrier for international customers. Indedmedia is a beginner-friendly hosting provider with solutions for businesses of all sizes. High-traffic websites may find their shared hosting packages particularly appealing. Wondering how Indedmedia stacks up against other Web Hosting companies? Enter any other Web Hosting company and we will give you a side-by-side comparison.